Probably the craftiest and most profitable move George Lucas ever made in his life was retaining the merchandising rights to his original Star Wars films when he signed a contract with 20th Century Fox. He can buy plenty of beard trimmers and plaid shirts with the extra $5.5 billion he earned from that maneuver. Sci-fi’s mightiest franchise is in the clutches of Walt Disney these days, but the House Of Mouse is determined to keep the Star Wars merchandise gravy train rolling, as detailed in a new Variety article by James Rainey. 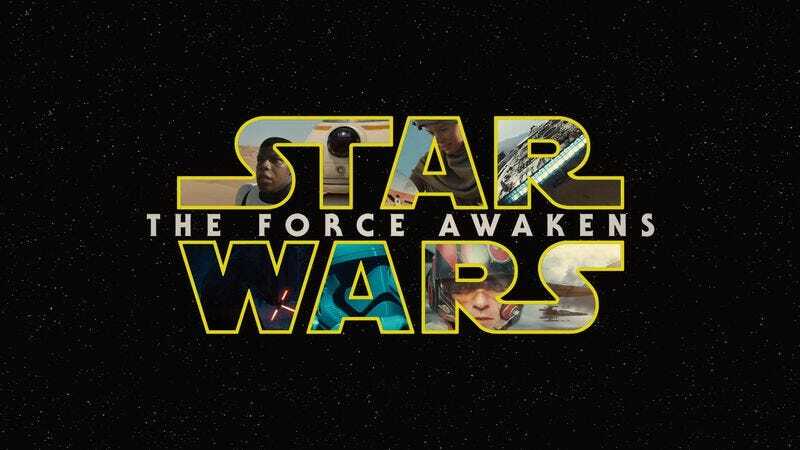 In fact, with The Force Awakens opening on December 18, the franchise’s best money-making days may yet be ahead of it. The seventh film in the series features not only classic characters like Han Solo and Luke Skywalker but new characters like Rey and Captain Phasma, all of whom can be turned into action figures. And Disney, Rainey’s article suggests, may be receiving a higher-than-normal 10 percent cut of those sales. Translation: cha-ching! The Star Wars merchandising machine is also poised to do something new this time around: appeal to girls. A very popular Walmart ad shows parents and grandparents passing down Star Wars knowledge to young children, and one vignette in particular has a mother and her daughter discussing Princess Leia as a feminist figure “unfettered by the antiquated gender roles of a bygone era.” Empowering or not, the campaign is thus far working like gangbusters, with parents and kids lining up outside toy stores for the arrival of new Star Wars products. Some products, such as “Yoda-heeled shoes” are even selling out. This is the kind of problem people want to have, attests Paul Southern, a senior VP of Star Wars licensing. Amid all this hubbub, it may be easy to forget that there is a movie coming out, too. That’s expected to do very nicely in its own right, maybe even as well as the shoes.